Obituary for Garvey Glenn, Sr. | Esterdahl Mortuary and Crematory, Ltd.
Garvey Glenn, Sr., 65, of East Moline, died Wednesday, October 10, 2018, while on vacation in Louisville, Mississippi. Funeral services will be held at 11 a.m., Saturday, October 20, 2018, at Esterdahl Mortuary & Crematory, Ltd., Moline. Burial will be at St. Mary’s Cemetery, East Moline. Memorials may be made to the family. All need to use 60th Street for access to the funeral home. Garvey was born on August 1, 1953, in Mississippi, the son of Isaiah Doss and Lue Berdia Glenn. He married Ignacia (Rivera) Dozier on August 1, 1981, in Davenport. He had retired as a crane operator and had been employed with the International Union of Operating Engineers, Local 150, Rock Island. 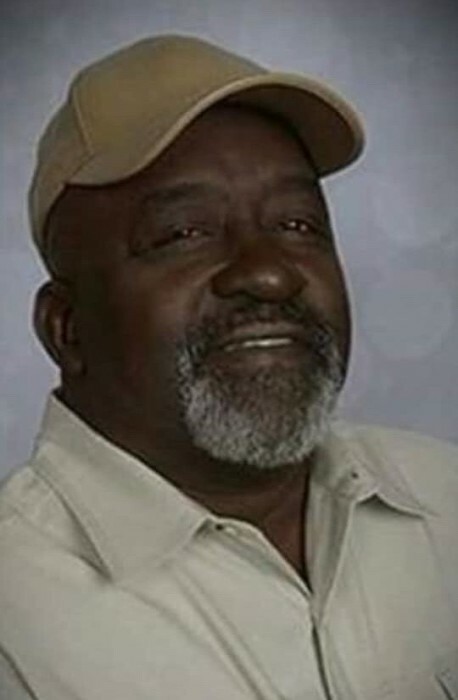 Garvey loved to be outdoors hunting and fishing. He also enjoyed tending to his garden and participating in the annual East Moline Labor Day parade. Above all, he loved being with his grandkids and family. Survivors include his children, Tiffany Rivera (Genaro) Gomez, Angela Jean Glenn, Shalonda Victoria Glenn, Garvey Glenn, Jr., and Jayden Glenn; mother, Lue Berdia; siblings, Wilma Rogers, Susan (Clint) Anderson, Brenda Glenn, Karen (Eric) Brasch, Tressie Glenn, Jerry Doss, Stevie Doss, Helen Doss, Patricia Diane Doss, Erma (Cola) Ajala, and Dorothy Doss; grandchildren, Deijah Rivera-Watts, Ameiah Rivera, Tanacia Morney, Jeremie Ross, Tre Morney, Alaejah Ross, Kiera Glenn, Kaniya Glenn; and great granddaughter, Nahvi Clayburne. He was preceded in death by his father; grandchildren, Julian Glenn and Aniyah Rivera-Watts, and brother, Isaiah Doss, Jr.
A special thank you to the International Union of Operating Engineers, Local 150, Rock Island, for all they have done to support the family during this difficult time.